Honda unveiled the Honda Civic Si Sedan Concept at the Chicago Motor Show, the first Civic Si in a sedan form. The Civic Si has been available in Coupe form already, so Honda took the high-performance features of the Si Coupe and integrated them into the Honda Civic Si Sedan Concept. 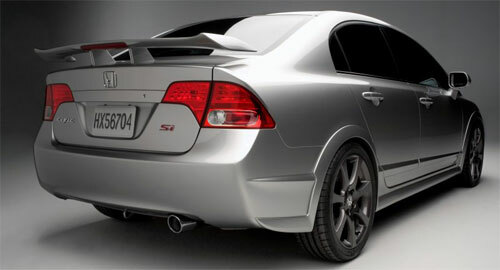 This concept Si Sedan will be the base of the new Honda Civic Si Sedan. As with the Honda Civic Si Coupe, the Honda Civic Si Sedan Concept comes with a powerful 197 horsepower K20 i-VTEC DOHC engine with a redline that touches the high heavens – 8000rpm. This is mated to a 6-speed close ratio gearbox to keep the revs in the i-VTEC high cam area during spirited acceleration. The car also has a helical LSD for improved cornering performance. All that power to go forward needs stopping power so Honda has fit the car with cross-drilled disc brakes on all four wheels. 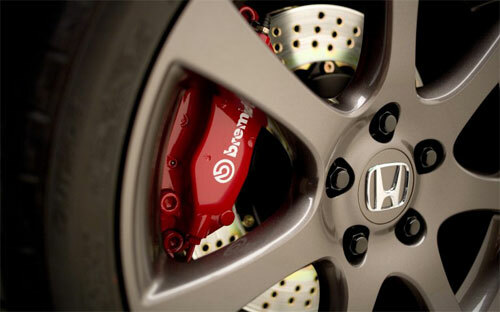 4-piston Brembo calipers are used. The rims are 18″ cast aluminium alloy rims wrapped with 225/40/ZR18 tyres. Note the ZR rating instead of R, that means the tyre can be used for higher top speeds. 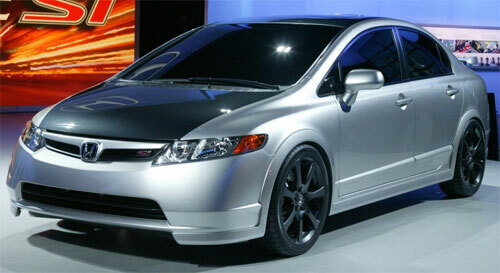 A production version of the Honda Civic Si Sedan will go on sale in Fall 2006 as a 2007 model.